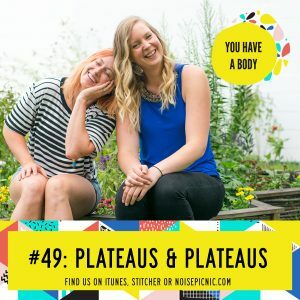 There are SO many types of plateaus we can all find ourselves hanging in and around. What’s the deal? Why do they happen? What about strength plateaus in the gym, and dietary plateaus? What are our bodies doing? Lucia and Hannah have some ideas. NoisePicnic is a podcasting network created for the purposes of publishing, encouraging, and collecting a variety of unique podcasts from the extremely creative and talented people in the Minnesota Twin Cities area. It is run by Aric McKeown, Mike Fotis, and Levi Weinhagen. NoisePicnic's aim is to present shows that believe in stories, comedies that are well crafted and well told, and anything in between. Enjoy. And if you like what you hear, spread the word.